15. You will, always be here, won’t you mummy? 14. 3 score years and 10. 12. It takes a village……. 4. Sid has left the building! It’s been nearly a year since I stopped writing my blog. I have to admit, I have missed it. The process of writing while on treatment was very cathartic, and I signed off full of hope and excitement about the future with treatment ending. I did not foresee the mental strain of the Remission Waiting Room. I am not good in waiting rooms. Even when I am just going for a routine check up at the dentist, I get restless sitting there, I may even get butterflies in my stomach. I am that person, who always thinks she needs a wee when she gets stuck in traffic. I am a control freak, although I try not to be. 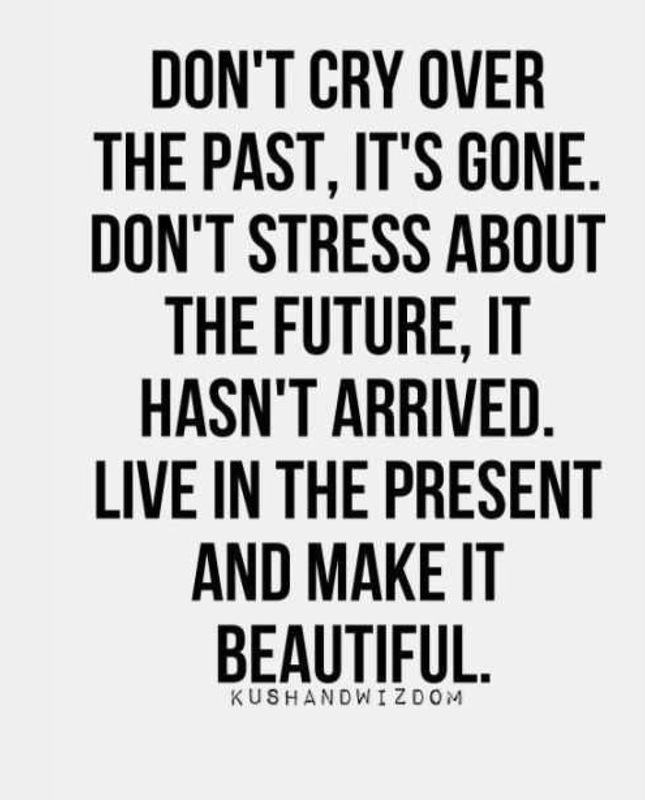 I say the below quote in my head to remind myself that I am creating stress when there is no need. The Remission Waiting Room is a strange place. You are well. You are where you dreamed of being when first diagnosed. You are moving on with your life. You are Alive! However you are also stuck in this waiting room. Your wonderful medical team have given you the all clear, but they haven’t signed you off. They are hopeful and confident, but they can’t tell you it’s gone and wave you goodbye. I don’t do well in this waiting room. The mental health side of cancer is something I didn’t consider at first. It isn’t something that is covered in the many leaflets and meetings during the traumatic time of diagnosis. However looking back, it’s my mental health that has been hardest for me to manage. After my operation, I was both physically and mentally a mess. I was in pain on both fronts. My recovery from this point both mentally and physically worked together. Then gradually, the mental high of treatment ending and clear results, came crashing down. Not in one massive blow, but bit by bit over time. This meant that it took time for me to realise how low it had got. How anxious I had become. Admitting to myself and others that there was an issue, when all results where going my way was really hard. I was embarrassed to be feeling how I did. Then last October I knew I had to do something about it. My surgeon had given me my all clear results and asked me about my mental health and if I had considered going to see a counsellor. I said I was fine, great, grateful and never better, and didn’t need to speak to anyone. As the words came out of my mouth I new it wasn’t true. On the way home from the appointment, I said to Damian, I think I need to go see someone, I think I am suffering from anxiety, and he simply said, yes. I had to have a phone call with a mental health professional so they could understand what help I needed. The questions made me admit things out loud that made me feel vulnerable and sad. However it matched me with the right type of counselling. It has been amazing. While it was really tough at times to talk about my mortality in detail at the age of 40, and my huge panic of leaving my children without a mummy. Talking about it, putting my fears out there and not just acknowledging them, but discussing and working through them, has helped enormously. Understand how traumatic it has all been, how low and vulnerable and scared having cancer makes you, that it is not unusual to feel how I feel, that it’s not wrong to feel the way I do, and that I am not alone. Acknowledge that while I am in the remission waiting room, the anxiety of getting sick again, will not go. That the endless worry about leaving my children without a mother, will not diminish, but I can control the feelings, they do not have to control me. As it is Bowel Cancer Awareness month I wanted to open up about life after cancer. To let others know that it is ok to find it tough and that there is help out there. When I saw my surgeon a few weeks ago, I told him I was now in counselling after he bought it up. That it had helped a lot. He let me know that they where trying to get better at helping with the mental side, and not just focusing on the physical. So if you think you need extra mental health support, it is out there, ask your practitioners when you see them next. Please know the symptoms of this disease, as caught early enough it is curable. It is sadly on the increase for the under 50s. You are #nevertooyoung to get bowel cancer. It can happen to anyone. Get yourself checked. Pay attention to your bowel habits. After dropping the kids off at school last week, I scooted home, appreciating the sun shining on my face, and the spring flowers in full bloom around me. I felt this wonderful feeling of contentment mixed with hope and excitement. As the emotion flooded through me, like sunshine floods your bedroom when you open your curtains on a sunny morning. I realised I hadn’t felt this sense of calm and simple joy for a long time. In this moment I realised I had got myself to a really happy point. The stuff that had landed in my head post treatment, that I found hard to deal with, has been processed. Decisions I found hard to make, have been made. A new chapter is most definitely underway. One of the outcomes of this is, that it is time to blog no more. This is my last post. So cheers! Now uncertainty is still an unwanted bedfellow, and I am worried that I will tempt fate by stating a last post, but that is just silly, and so here it is. This blog was always for my beautiful boys. Who I am unashamedly proud of and biased about 😂. So it feels right to close this blog talking to them. Please always find the light in the darkest of moments. It is always there if you look hard enough. It is what will make you a stronger, better and happier person in the long run. 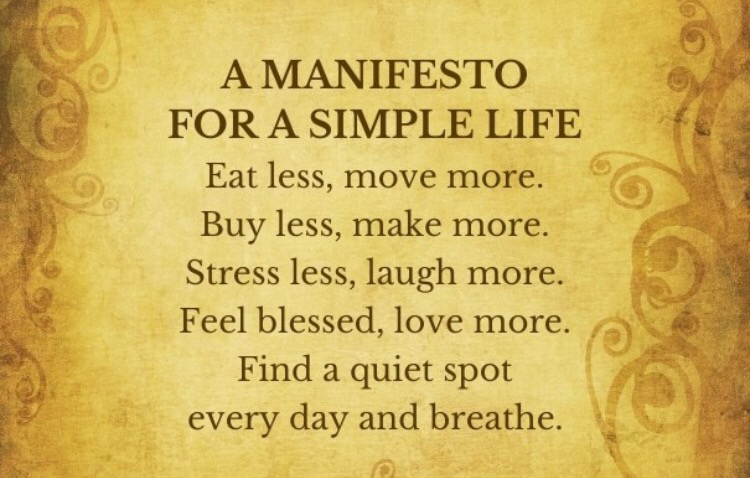 Remember your life is made up of your choices, take ownership of that and build a good life. Not all the choices will be the right ones, and that is ok, as long as you know it’s yours to fix. Don’t rely on others to make you happy, only you can do that (remembering it is ok to be sad sometimes too). Take the time to understand yourself and be brave enough to walk your own path. Do not judge other people, you don’t know their story and it’s not nice. Be Kind. To others, but also to yourself. And to everyone who has read this blog, who has supported me through this experience, and made me never feel alone. I leave you with someone’s else’s words. Those of the wonderful Tim Minchin, and his 9 life lessons speech, that I must have watched at least four times over the past 12 months. I hope u enjoy it as much as I have, although I am sure many of you have already seen it, watch it again! The inspirational Amy Mattingly died on 5th April 2018. I don’t want to write passed away or went to sleep, she didn’t, the cold reality is that she died. At 32. Her last message to us all was to do something. Amy did not want our pity or sympathy, she wanted change. We need change, as on the day Amy died, she was not the only one to loose her life to Bowel Cancer. In England alone she was depressingly 1 of 36 who lost their lives to this cancer. One of the things that stands out for me about Amy’s story is how problematic her journey to diagnosis was. It took far too long for anyone to take her many, worrying, symptoms seriously. During Bowel Cancer Awareness Month we are all trying to communicate the symptoms to help people get diagnosed earlier. While this is, without doubt, a vital part in getting this disease detected earlier, especially in those under 50, I feel that we also must communicate the importance of making sure GPs don’t just treat the symptoms, they dig deeper to find the cause. Over the past year I have heard many stories where women with bowel cancer had anaemia. That their doctors gave them iron tablets to fix this, Amy being one of them. Then did nothing else until they got more ill. While anaemia in women is common, and most of the times there is a simple explanation, for example heavy periods, further investigation to make sure it is for something simple, should be done. When I first went to my gastroenterologist, I went after having my blood tested by my GP. The results came back clear. There was absolutely nothing wrong with them. I was told, very clearly, by the specialist, to come back to see her in 6 months time and earlier if any symptoms worsened. I did not do this, and I can’t even explain to you why I didn’t. Instead I went back to my GP, who looked at the previous bloods, and said all was fine, that I just needed to be patient and that the Giardia effects would get better with time. 6 months after that, and after my sister, to be frank, had a massive go at me for not taking care of my health, not following the medical advice I had been given, and reminding me very clearly it had now been nearly a year since that initial meeting and I was clearly much more ill, I went back (Thanks Vicky). The specialist booked me in for a colonoscopy straight away and bloods where taken. She called me when the results of my bloods came back, saying I was anaemic and it was very important I turned up to the colonoscopy appointment. I did, and that was the day I was diagnosed. When I told my sister my bloods had said I was anaemic and the specialist had called to make sure I was attending, I could see concern in her face. I was surprised, anaemia is quite normal isn’t it? No she said, you shouldn’t be anaemic, you need that colonoscopy. So my first attempt of ‘Doing Something’ Is to encourage people to do more than just know the symptoms, I want to make sure you know what to do if you have them. Make sure your 10mins with the GP is done right. You don’t have long, so go prepared, write down everything even if you think it is not important. For example, I had noticed my poo was skinny (!). I wasn’t going to mention it, as so what? But that was a sign I had a blockage. It was a massively important piece of information that I didn’t mention for a whole year! You don’t know what is important for the medical staff, so mention everything. Then, if you have these symptoms, ask for a blood test. Our blood tells us a lot of information (I didn’t know this). If it comes back ok, but you still feel ill, ask for another one. A lot can change and quickly. If your bloods flag something, a vitamin deficiency or anaemia for example, don’t accept just being treated for those issues, ask to find out WHY you would have theses issues. It may very well be something simple, and that is great. But always ask to find out the cause. The second thing I want to DO is highlight that while all cancers are caused by genetic changes in certain cells that have mutated, up to 30% of bowel cancers are caused by inherited gene mutations. 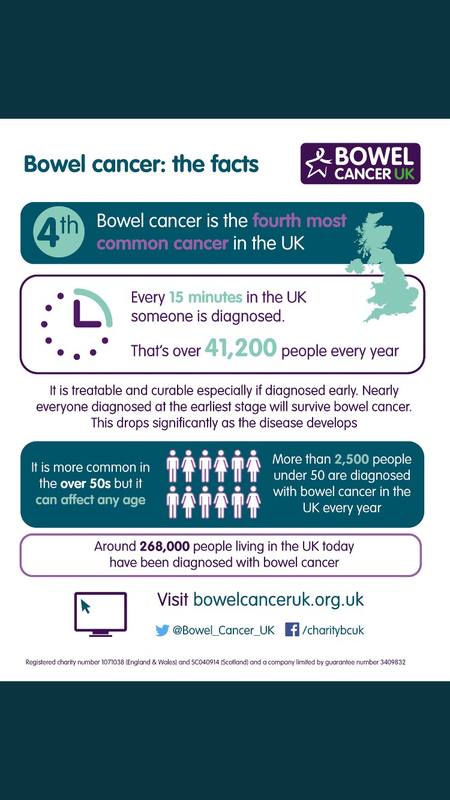 Around 1 in 20 cases occur in people who have other family members with bowel cancer. There are currently 3 genetic conditions that people could have that lead to a much higher chance of getting bowel cancer, and at a younger age. Amy had Familial adenomatous polyposis (FAP), but sadly she was only diagnosed with this once she had cancer. Too late then for Amy. We need to increase awareness of the genetic conditions that can cause bowel cancer, and the amazing departments we have to help people with theses conditions, like the Polyposis Registry at St Marks Hospital. So that their skills in prevention can help people like Amy. If anyone in your family has a history of bowel cancer, or ‘dodgy guts’, find out from family members as much as you can about what happened to them, and take this detail to your GP and ask to be referred to your local genetics centre. If giving blood isn’t your thing, then how about raising some money to do something. How about for the Polyposis Registry? Let’s look at the stages of life as fields. As you go through life you walk through the fields with a backpack on. You need a backpack for all the things you pick up along the way. By the end of each field, your backpack is heavy and you will not be able to cross into the next field unless you let go of some of the things you have accumulated. You need to discard the bad and keep the good. You need to have space for the next field and all that it will bring you. This life changing statement of fact, happened a year ago today. As a result this last year has been a field in its own right, and I have definitely picked up a bit of baggage, that I need to sort through and clear out. I hear those four words loud and clear like it was yesterday, but it also feels like a lifetime ago. I feel the same person while at the same time, I don’t always recognise myself. The last four months, of no treatment and getting ‘back to normal’ have been harder, in many ways, than any other time. That is because this has been the processing part of it all. The ‘f*** that was massive’ realisation of it all. The statistics from the Cancer research UK website show how more and more people are surviving cancer. Wonderful, fantastic, amazing news! What this means is that more and more people are living with the impact of cancer and having to find a way to deal with the physical and emotional scars that it leaves behind. I have found it really hard to admit to myself, and to my family, that I am finding things tough. This is because I feel terrible for feeling this way, I am drowning in guilt about how I feel, because I am one of the lucky ones. I have the results that everyone hoped for and so many medical staff worked so hard to achieve. So how can I now, after all that, be feeling anxious and overwhelmed? Without a doubt I am more than happy and grateful to be better. However there is a new, unique, sense of fear that has entered my life. The arrival of the emotion uncertainty. Is my cancer gone for good? Can I plan and talk about a future? Should I worry about a pension? 😂 Or is it lurking in the shadows waiting to come back? So many questions and so much doubt. I have been trying to get on with, and get used to, this new emotion over the last couple of months. It has made me anxious, tearful, freak out a bit, loose confidence and struggle to make decisions. Once I admitted to myself I was struggling and identified that all the above was driven by uncertainty I was able to accept it. I now need to put steps in place to learn how to live with it. Accepting that uncertainty will bring difficult emotions, that I will deal with. I am sitting in my dining room, watching the snow fall. In fact this is my view right now. Although you can’t see the snow falling, it is, and it’s beautiful. As they play with the dog and their cousins in the snow, I am reminiscing why this blog started in the first place. It was to show them that they can find joy in difficult times. I hope that it has done this, although they are not old enough to read it yet, so time will tell. The biggest thing I have learned this year as a mummy with cancer is the magic of memories. I thank Cancer for this. On the way home from school, we giggled in the snow. We made skidding moves. We caught snowflakes on our tongues and generally just loved the moment of leaving school early due to lots and lots of SNOW! I realise now that making something magical of a moment, any moment, is so important. While many people may always have known this, I don’t think I fully appreciated it. So boys when you where 7 and 4, on the day it officially turned from winter to spring, the whole of the UK froze. In true UK fashion, everything ground to a halt. Your school was amazing and was the only one open in Thames Ditton, but they did let you go home early. For many, this time has meant some serious hardship. For the homeless, the aged the frail and the sick, it is tough and it’s at these times the vulnerable in our society are hit the hardest. Our emergency services work tirelessly and our hospitals are stretched to their limits, as are the staff. However, for children it is magical. Snowmen, sledging, snow ball fights and school closures. Hot chocolate all round and families bedding in together. The boys may never have another snow like this in their childhood, or it could be the start of the norm. Who knows. What I do know is they will remember this moment from their childhood, for as long as they live. The week the UK froze, and they played and spent lots of times with their loved ones. It gave us all downtime with our families when it should have been just a normal week. So what are we going to do? Probably the same as you. Watch a movie, roast some marshmallows, have lots of snuggles on the sofa, maybe a board game or two, and fall out about it 🤣 We shall also remember others by donating some food to food banks and cash to homeless charities. Cherish the moment, and enjoy the memories. If someone asked you to write down what love meant in one sentence, what would you write? Would you find it easy? Would one sentence be enough? While I have no idea what people would say, I do know that they would not be one, single, universal sentence. Whilst we all need love, how it manifests itself is deeply personal, and different depending on the relationship. As I feel the relief of a clear scan flow through my veins, like a shot of sunshine has been injected into me, (whilst also feeling guilty as so many don’t get a clear scan) I am enjoying the mundane. Today that was buying a meal deal in preparation for Valentine’s Day, as Love is on my mind. I couldn’t sum up love in one sentence, and trying to put it into words is quite hard, but I have had a go below. Love is a warm blanket wrapped round me, giving me warmth, strength, security and happiness. Love is putting my arms around my boys and husband and knowing I am home. Love is basically everything Winnie the Pooh says! I didn’t need to have had cancer to make me feel loved, but I think, maybe, it has made me appreciate it. To understand how powerful it is, and how life is all about love. I used to think the most powerful emotion was Hope, but of course it is Love. Love is the emotion that gets you through tough times, because love is what makes you hope, and gives you strength you didn’t know you had. This last year I have felt love, more than ever before. So this year there will definitely be chocolates for all on Valentine’s Day. Valentine’s Day is not everyone’s thing. However I will be celebrating with my boys and my husband. Love is not one thing with one person after all! This is because I never want to stop telling them all I love them. Life is too short to not celebrate as often as you can, about anything you want, with those you love. And beyond Valentine’s Day, with my boys in mind, as Cancer has brought a lot of reflection, I am going to show my boys how much I love them, by trying to ….. So they know you can never, in no particular order….. The sun wasn’t just bright on Friday morning, there was warmth in its rays, as it shone on my face like a comforting touch from a loved one. The beauty of the day wasn’t lost on me. That is because Friday was scan day, and because of this, laughter was louder than usual, hugs from my boys stronger than normal, the beauty of the little things sparkled around me. I had been falling out with myself about the Scan. Trying to let my rational brain win over my emotional brain in a private mental battle. I know concern should only raise its head on results day, but I couldn’t stop the disquiet from settling around me. The radiologists had an air of nervousness around them too, because of my veins. I have terrible veins, it stresses my health professionals out, trying to put a cannula in. I tried to put them at ease, letting them know that it is fine to poke about a bit, that I was used to it, that everyone struggles with my veins. I pointed out the best places for them to try. I cracked my tried and tested joke about how I would have been a terrible drug addict, which always brings a polite laugh. They kept me warm by tucking a blanket around me, stroking my hand and smiling at me, telling me they wouldn’t be long, asking me if I came on my own, and would I be okay going home. Fussing over me, focused on my care, making me feel calm. They shouldn’t have doubted themselves. The cannula went in first time, I gave them huge congratulations on this, its so rare to get it first time. My arms were gently placed above my head, and then the radiologists left the room as the CT scanner whirred to life and started to talk to me. Breath in, now breath normally, breathe in, now breath normally. Half way through the radiologist re-entered the room to add the iodine, administered through the cannula. As it started to flow, it warmed each part of my body as it passed through, till it reached my toes and disappeared. Then the machine stopped, it was all done. You have to fast for four hours before a scan, so I had an almond croissant in my bag, as a treat to myself while I waited the 10 minutes it takes for them to check the scan had worked and remove the cannula. Then it was home time. Now I wait, wait to hear from Mr J that all is clear 🤞🤞. The unknown settles over me, like a blanket, wrapping itself around me, but not offering any warmth or comfort; nor is it letting me shake it off. It was good to be Anna again, not Damo’s wife or Sam and Oliver’s mummy. Just Anna. This has always been a key reason for loving work. However the return to work has also bought along new emotions. Once treatment ended and I got the all clear, and the elation of that passed, anxiety and worry creeped in. During treatment, I felt I was always actively doing something about the cancer. Now I feel I have moved into no mans land. Waiting to see if it returns or not. I think this feeling will pass once I have a few clear (hopefully) scans back. Going back to work was the final step of going back to normal. It is a really good thing, and I am so lucky to be well and can go back to my ‘old’ life. I am very aware so many are not this lucky. As a result I need to give myself a good talking to, when the voice in my head says, don’t go back to work in case it comes back, and you will regret not spending every second possible with the children…….. I don’t think, for me, that is a healthy thing to do. I need to live. Not worry about something that may never happen! It’s strangely quite hard to do though, this is because it has left me feeling quite vulnerable. Nervous about the future. Wanting to do stuff now, not risk leaving it till when the boys are older. Again, to deal with this, I have a word with myself, as I have a future, it’s gone, it could be gone for good, so get a grip and get on with it Anna! After 9 months of keeping your sh*t together, don’t loose it now! It makes me think how this is just part of life’s journey. Damian has always said when we have discussed work ‘Stress is relative. You can’t avoid it. So you may as well get paid for it’. This is true for the whole of life isn’t it? Unless you avoid living, you are, at some point, maybe several times, going to feel fear, despair, depression, anxiety etc. Just like you will feel love, joy, happiness, excitement etc. The important thing is to remember that you can control your life, even though at times it feels impossible. As while you can’t control everything that happens to you, you can control how you react to it. You always have that choice. 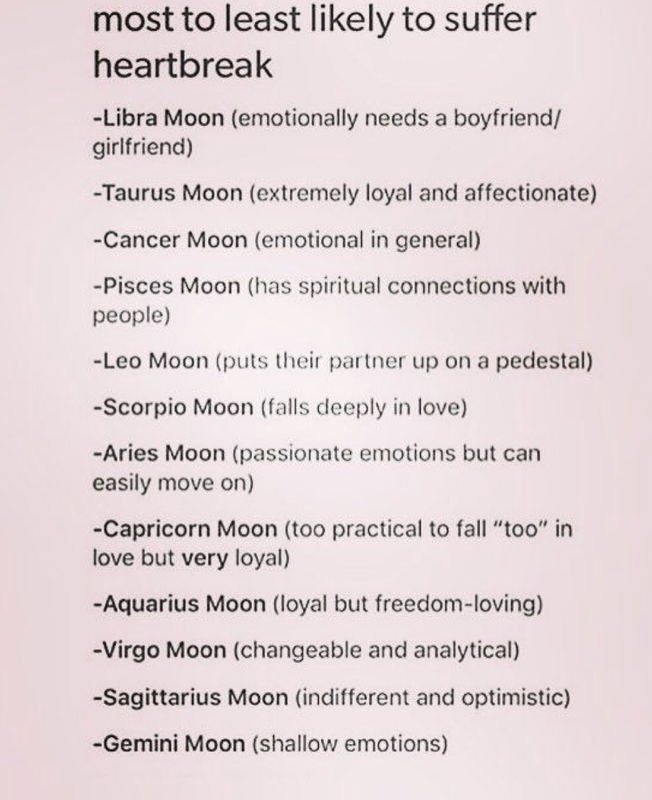 I choose to keep my sh*t together, take a deep breadth, process emotions as they hit me, accept there will remain an element of feeling vulnerable and scared for a little while yet, and enjoy having my life back. Happy 2018 everyone. Thanks for reading my brain dumps. It has really helped writing it all down. There is a prayer that I said many times in my childhood, due to going to a convent school, that has appeared back in my life, now our children go to catholic school. I honestly don’t know what I think about religion or God or any of that stuff, and I am not going to go into it here! However I like the message in this prayer, and it is pertinent to me and my situation right now. After a 2.5 week wait for my scan results, I had decided that no news was good news and my scan would be clear. I was wrong. My scan showed a dodgy lymph node near my pancreas that needs investigating. So ‘Grant me the serenity to accept what I cannot change‘ is going round in my head. Luckily for me this weeks ‘don’t worry’ news was nicely cancelled out by a fantastic night of fundraising for Bowel Cancer UK organised by some wonderful friends. Firmly sitting within the ‘change the things I can’ side or the prayer. Doing something to raise money for cancer. As research really does make a difference. It reminds me of my earlier ‘it takes a village’ blog post. How when women come together, amazing things happen. Around £700 has been raised, and boxes are still being collected so it could be more! Amazing! Helen x 2, Vicky, Lu, Georgina, and Suzanne; thank you ladies for organising something that was really good fun, while being for a good cause. So on with my cancer journey I go. This time to the Hammersmith hospital for a endoscopic ultrasound and biopsy, that hopefully I will be fast asleep for throughout! Let’s hope it says all is ok. In the meantime plan and look forward to Christmas. Our first in our current home. Here’s to a bit too much food and wine. To singing carols and watching nativity plays. To putting up our Xmas trees and stressing about the lights. To log burning fires, warming stews and mulled wine. Let’s not forget lots of chocolate and cheesy movies. All spent with family and friends. Here’s to ending 2017 on a high. It’s been a rough one, but also a good one, full of love, laughter and living. Who knows how any of us will react when we hit one of life’s road blocks. All we know is none of us is going to sail through life without at least a couple of bumps in the road. As I finish my chemo cycle, which right now has left me feeling pretty 💩, and await my scan 🤞🤞🤞, I am thinking of all the things that I have come to appreciate through this whole Cancer crap….. I long for my relationship with Cancer to end, but the lyrics of Hotel California by The Eagles, ring in my ears. This is because I have 5 years ahead of me of scans, scares and hope, to get to the amazing finish line of NED. No Evidence of Disease. That is the end point we all hope for and sadly and heartbreakingly, not all, are able to get to. Over the next five years, if all goes to plan, I will get 6 monthly scans for the first two years, then yearly after that, alongside yearly colonoscopy’s till I reach the 5 year mark. If all doesn’t go to plan, then I will just have to deal with that if it happens. This is because this year has been life changing. It has taken away and given, in the most bizarre, heartbreaking and amazing way. It has been raw and dark and painful and scary. However it has also been a year of love and honesty and strength and hope. That is why the lyrics ‘You can check out any time you like, But you can never leave!’ Ring in my ears so clearly, for the reasons below. Cancer doesn’t just go away. It goes into remission, and you have to wait and see if it awakens. It doesn’t let u just check out and walk away. Cancer changes you. Like anything major that happens in life, it leaves its mark, both good and bad. You can’t go back to what and where you were before it all started. So with all the above rocking around in my head, I take all of the strength that I have found within myself, take a deep breadth and step into the next stage…..